The case middle, bezel and back of the Big Bang Unico Sapphire are cut from blocks of sapphire, a material which is almost as hard and scratch-resistant as diamond (9 on the Mohs scale as opposed to 10 for diamond). 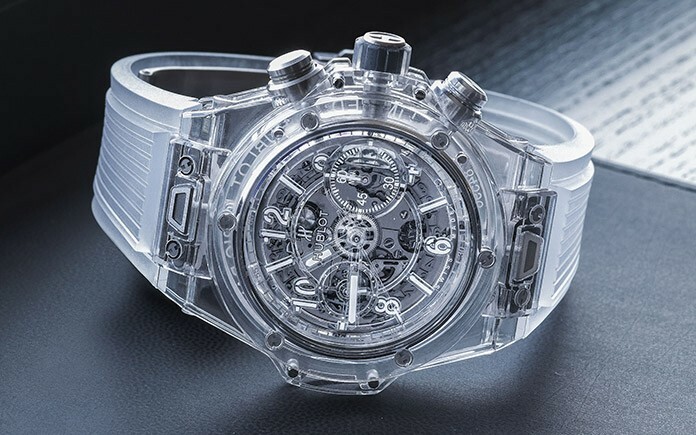 Hublot has called on the expertise of a Swiss specialist as part of an exclusive partnership to develop the unique material. 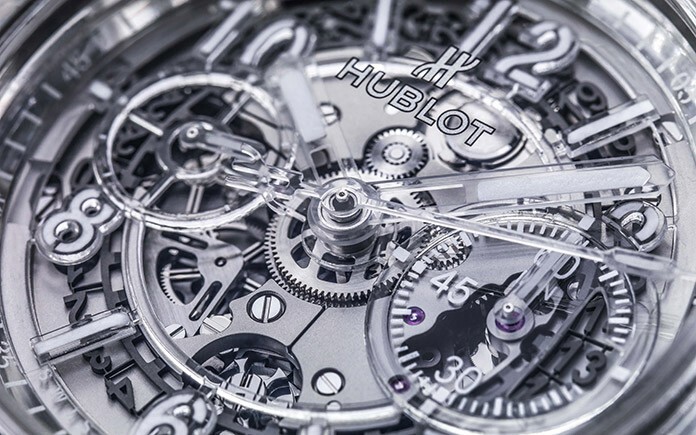 Only a few pieces forming the spine of the watch are made from titanium: the screws, the crown, which is over-molded with silicon, and the deployant buckle. Its skeleton dial, made from transparent resin, reveals all the gears of the proprietary Unico HUB1242 movement and its finishes. 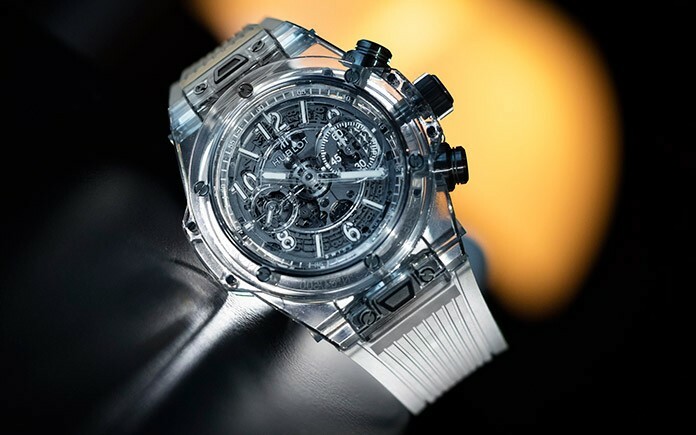 Complementing its ethereal silhouette, its strap – transparent – is invisible so that the skin can be seen through it. Available as a 500-piece limited edition, the Big Bang Unico Sapphire is water-resistant to 50 metres.